By the time you’re reading this, I will be in sunny Santorini, preparing to get married myself. For this week’s Behind the Bride I wanted to speak with a special friend about her own wedding. I met Emma when she photographed my first wedding, and I have kept in touch since as she’s such a lovely, laid back and down to earth girl. As a wedding photographer herself, at Emma Moore Photography, I was so excited to see photos from her own wedding and hear all about her special day. 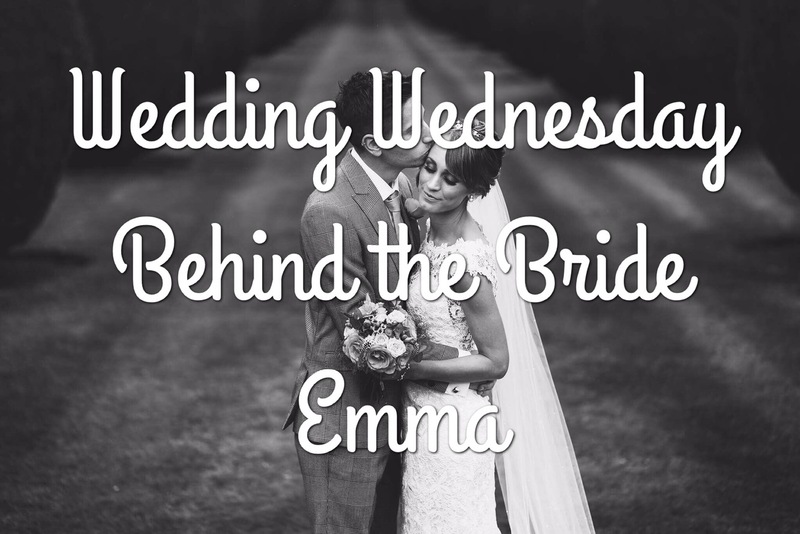 Hi Emma, thanks so much for taking part in the Behind the Bride series! First of all, congratulations on your marriage! When was the big day? We got married on 1st August 2016. I can’t believe it’s been over a year already – time has flown by! Jack and I met in Winchester on a night out. We met at Pitcher and Piano. I was having a quiet drink with my friend when 2 guys approached us. We got chatting to them and they introduced me to one of their friends saying they thought we would get along well as we were both creative and Arty. Jack was studying Fine Art at Winchester University at the time and I was working as a photographer for Venture portraits. We had a few drinks together and Jack ended up giving me a piggy back around town as I couldn’t walk in my ridiculously high heels! Since then we have been inseparable! Jack proposed to me at my favourite time of year – Christmas. It was just the two of us at home on Christmas morning and I was opening my presents from him. He then said he had one last gift for me. I was secretly hoping it might be an engagement ring (I’d dropped enough hints!). When he presented me with what looked like a watch box I was slightly disappointed, until I opened it and saw a beautiful sparkly diamond! Tell me a bit about your big day. Where did you tie the knot? We got married at The Elvetham. It’s my favourite wedding venue. Having photographed many weddings I just knew this venue would be perfect for my wedding one day too. Did you have a theme or a colour scheme? We didn’t have a theme. I’m not really in to themes as such. I just wanted an elegant wedding. We chose coral and gold as our colour scheme, two of my favourite colours. The whole day was amazing it’s hard to choose one favourite part! I loved walking down the aisle and seeing all my family and friends waiting for me. It was amazing to see Jack’s face light up when he saw me. We booked the Secret Singers who performed for our guests during the meal. They were fantastic. I can highly recommend them to anyone! They too were a highlight of the day and no one was expecting it which made it even better. To me I feel everything was perfect! I had so many anxiety dreams about the wedding in the lead up to the day but honestly it was just perfect and I wouldn’t change a thing. Yes! Dedicate a bridemaid to bring you food from your evening buffet. It’s often served at a similar time to when you are catching up with your evening guests. Jack and I were so busy meeting and greeting everyone that we didn’t get any of our evening food! It was gone and the guests ate it all! We didn’t even see it all laid out! The venue said to cater for around 75% of the total number of guests for the evening. I would be careful with that figure and order enough food for 90%. It’s amazing how quickly it disappears and it’s better to have too much than not enough! Having worked in the wedding industry I have to agree with you Emma, always cater for more than you think! If you would like to see some of Emma’s (simply stunning) wedding photography or to enquire about her services for your own wedding, please take a look at her website, Facebook page and Instagram.